If you value your life, don’t dare to suggest to Nick Chatterton that he’s not a good writer! Nick is embarking on his latest crime/horror novel – a pastiche of the Vincent Price movie Theatre of Blood – where Nick draws up a hit list of his enemies within the writing world and gets his narrator to dispatch them according to the plots of classic crime and horror movies, such as Reservoir Dogs. Top of the list is a writer who is both a superstar of the horror genre and who in Nick’s reckoning has wronged him the most. Nick first met Hugh Canford-Eversleigh at a reading more than a decade ago and fell madly in love with him, interpreting their encounter as the start of a magnificent affair. Nick’s feelings soon expanded into full-blown obsession, and he stalked Hugh, believing his love would eventually be returned. Nick was repeatedly rebuffed, much to his anger, but it was years later that his rage reached murderous proportions, due to an unexpected and outlandish twist of fate. 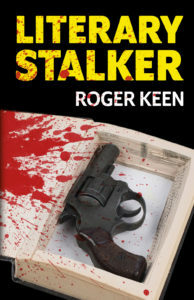 Now through his novel, The Facebook Murders, Nick is settling all his old scores, blurring the lines between autobiography and fiction – and with his obsessions reaching fever pitch, blurring the lines between writing about nasty stuff and doing nasty stuff for real. I read a book once that argued resistance is the root of all suffering. Resistance is undoubtedly constructed from expectations. What we should be doing. What life should be like. We torture ourselves with all these imaginary rules.